What are the symptoms of PTSD? How do I know if I have it? Our previous blog post outlined what exactly trauma entails when it comes to the diagnosis of PTSD. 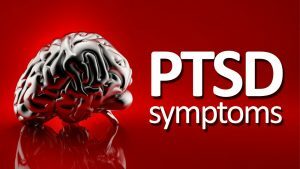 This next blog speaks to the symptoms of Post Traumatic Stress Disorder so that you can better understand whether you might fit the criteria. Once someone experiences a traumatic event it is quite common for them to experience a set of symptoms after the event. These symptoms might include increased hypervigilance, difficulty sleeping, nightmares, feeling more anxious around others, more watchful and on guard and even feeling depressed. For most people these symptoms subside within 4 weeks of the traumatic event. For others, these symptoms persist and sometimes become very debilitating to the individual. When these symptoms persist and begin to impact one’s ability to live their daily life it can typically be classified as post-traumatic stress disorder. It seems you hear this term thrown around a bit more loosely these days with folks saying “I have PTSD” simply because they experienced a trauma or perhaps because they got nervous when they heard a loud noise. Although these things might be uncomfortable to someone they do not represent a diagnosis of PTSD. Other common traumatic events include automobile accidents, burglary, childhood abuse and domestic violence. To diagnose post-traumatic stress disorder one would use the DSM-5 which is the Diagnostic and Statistical Manual of Mental Disorder. Here they outline the very precise criteria that one would have to meet to be diagnosed with PTSD. Included in this criteria is re-experiencing the trauma – this may come in the form of nightmares, intrusive thoughts, or being bothered by reminders of the trauma. Additionally, one must experience avoidance of the trauma. Often this is seen as trying to forget the trauma or using numbing techniques such as drugs/alcohol, working too much or other tactics we often use to avoid facing our problems. The next set of symptoms needed to meet criteria for PTSD include negative thoughts or feelings that worsened after the trauma. Included in this category is decreased interest in things one used to enjoy, feeling isolated, difficulty remembering events of the trauma and difficulty expressing positive affect. The last set of criteria is hyperarousal. This includes irritability, aggression, hypervigilance, difficulty sleeping, being easily startled, trouble concentrating, etc… Along with these symptoms one must have experienced all of these for more than a month and it must be directly related to the traumatic event. Additionally, it needs to be impairing ones functioning in life (i.e. their job, relationships, activities of daily living) to constitute PTSD. If you have questions about whether you or a someone you know might have PTSD, please speak with a trained therapist who can properly diagnose the individual. It takes training and expertise to be able to provide a proper mental health diagnosis and this diagnosis is what will inform the treatment that person will receive. It’s not uncommon to be misdiagnosed when it comes to Post Traumatic Stress Disorder so you want to ensure you are in good hands. What constitutes trauma when it comes to diagnosing PTSD?What options are available to treat PTSD?